The best way to learn a new framework is to build something with it. This tutorial walks through how to build a small, but complete, application using ASP.NET MVC, and introduces some of the core concepts behind it. 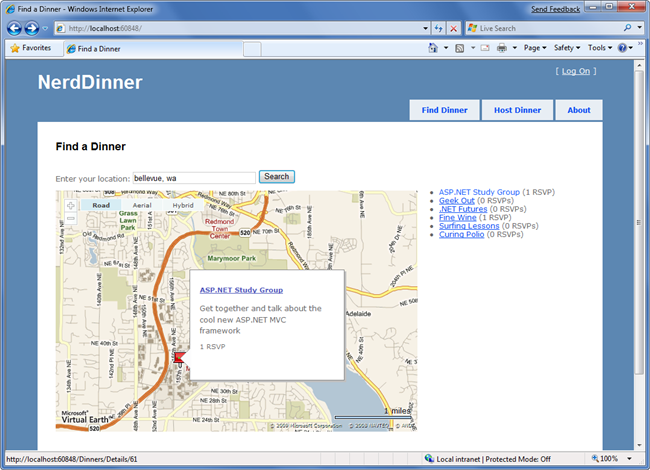 We are going to begin implementing the NerdDinner application by using the File->New Project command within Visual Studio to create a brand new ASP.NET MVC project. 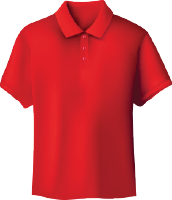 We'll then incrementally add functionality and features. 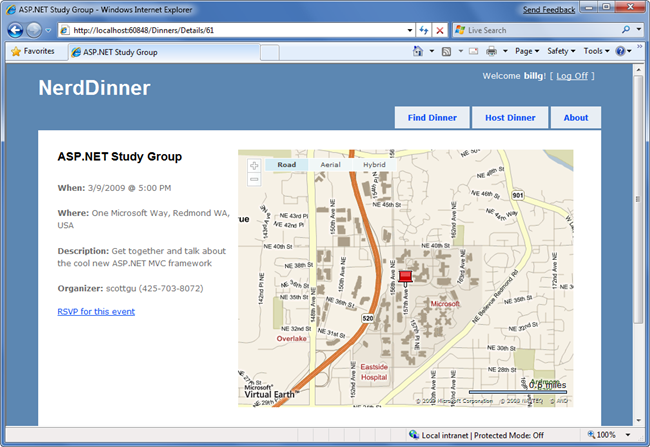 Along the way we'll cover how to create a database, build a model with business rule validations, implement data listing/details UI, provide CRUD (Create, Update, Delete) form entry support, implement efficient data paging, reuse UI using master pages and partials, secure the application using authentication and authorization, use AJAX to deliver dynamic updates and interactive map support, and implement automated unit testing. 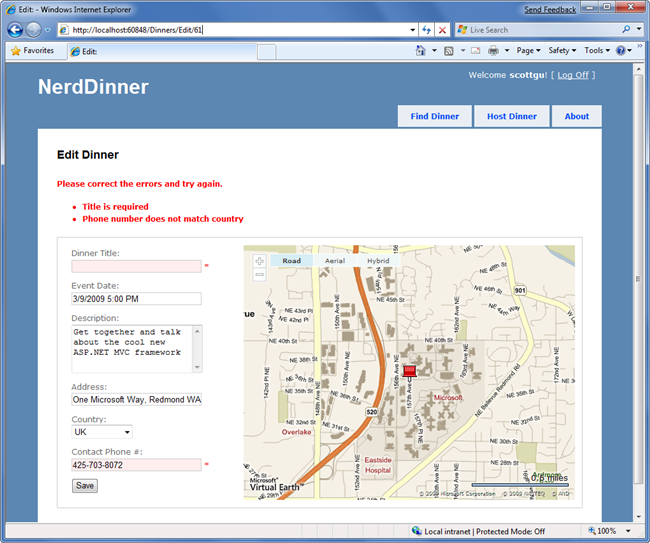 You can build your own copy of NerdDinner from scratch by completing each step we walkthrough in this chapter. 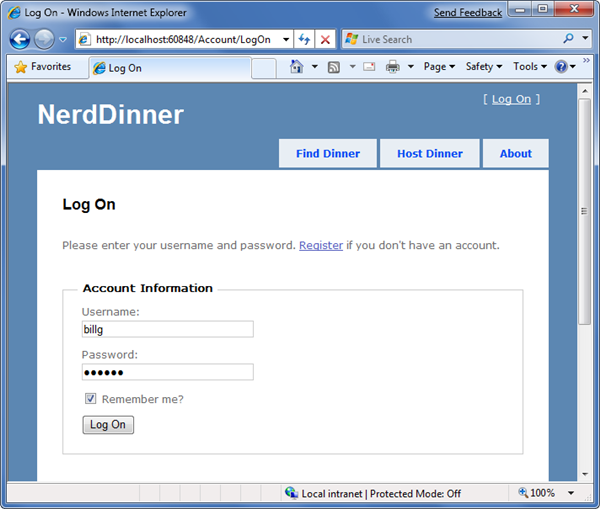 Alternatively, you can download a completed version of the source code here: http://nerddinner.codeplex.com/. You can use either Visual Studio 2008 or the free Visual Web Developer 2008 Express to build the application. 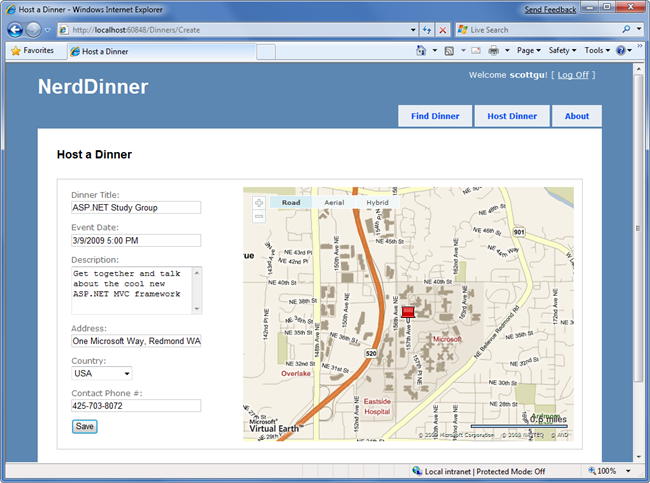 You can use either SQL Server or the free SQL Server Express to host the database.